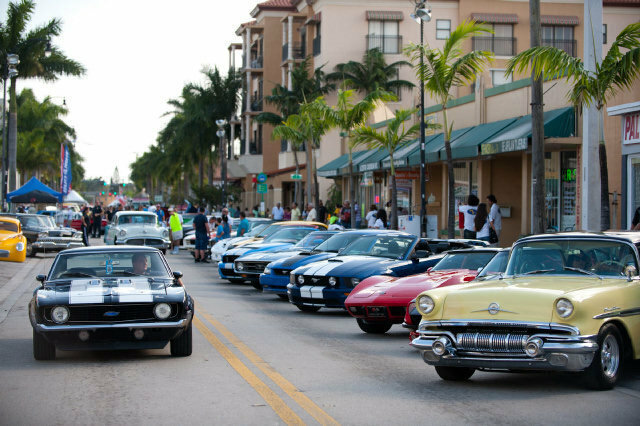 The Miami Herald: "Arts of all Kinds at Hialeah's Art on Palm Festival"
The Hialeah Art on Palm Car and Bike Show turned out to be a great success both for the area gearheads and the local community. Nine city blocks of arts, crafts, music, food, cars, choppers, and octane ensured something for everyone, and everyone had a great time. For those who aren’t so into cars as we are (and yes, these people exist), there were one-of-a-kind paintings, jewelry, hand-made clothes. For those who like to dance, the music ran the gamut from techno and rock to salsa and jazz. And for those who like to eat (and who doesn’t? ), there was an army of food trucks arrayed on the street offering every variety of food imaginable. We’d like to extend a special "Thank You" to Jean, who coordinated the food trucks at this and similar events. My friends, we were in food heaven. And also, "thank you" to Jumping Jack and the City Of Hialeah, for once again putting on a first class event. 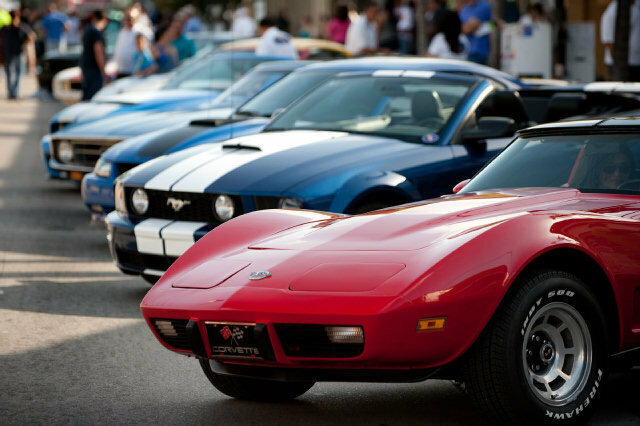 We had fifteen cars show up to the event, and nine took home trophies. Interestingly, the judging also included cash prizes. Imagine, instead of having to pay to enter the show (entry was free), you get a nominal prize for ranking in. There’s a Yakov Smirnov joke there somewhere (“In Soviet Russia, car show pays you!”). Please Note: The story and images below belong to the Miami Herald and/or respective writers/photographers. For a vast collection of pictures taken by our very own SE FL SAAC members click here. "Hundreds of people turned out for the annual Art on Palm festival in Hialeah on Saturday, Feb. 23. The free event featured two entertainment stages, food trucks, a car show, and vendors of food, crafts and art." Fort Meyers resident Nelson Valledor puts a shine on his 2011 GT Mustang during the annual Art on Palm festival in Hialeah, Saturday, Feb. 23, 2013. Hundreds of people turned out for the free event, which featured two entertainment stages, food trucks, a car show, and vendors of food, crafts, and art. DANIEL BOCK / For The Miami Herald.